I have always believed that education is the central solution to all problems ailing our country and the world. Education is a service like no other as it directly impacts citizen creation. In that sense, poor education is no education. It’s no service provided. It’s almost like buying a movie ticket, reaching the movie hall but only to witness a blank screen. So you walk out with an empty experience – what a waste! On the other hand, getting into the right college or university can shape your thinking, build ideologies and give the right momentum to your life. – Firstly because career management is not introduced early in our lives, it is not a part of the curriculum or does not feature in household discussions, until Class XI or XII perhaps. – Secondly, the commercial messages, lucrative offers and ‘what’s-in-it-for-me’ approach, taken by most counselors and facilitators in the country, is not student-oriented or unbiased. – Thirdly, we are not trained to think ahead of mediocrity and therefore settle for mediocre education as an available option without even exploring the possibility of getting excellent education. Today, with more than eleven years of experience in the education sector, I realize that the need of the decade is equitable, fair-minded direction to channelize young minds into aiming higher, planning better and achieving nothing less than the best! 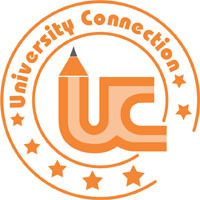 Therefore, in this commercial, concrete jungle of education conglomerates, I established University Connection as the home bolster – a family of excellence oriented ‘Connects’ that has been created to empower you and your career choices. The process at University Connection is knowledge-driven and highly personalised with individual dreams & aspirations in focus. While, the CAAS program encompasses all levels, students may also opt to engage with University Connection independently for a certain service. You may connect with a mentor and discuss what service will be best suited for you and your aspirations.